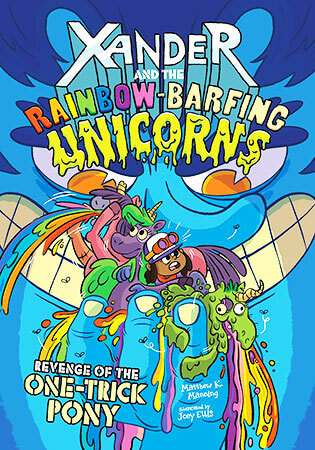 Twelve-year-old Xander is the only person on Earth who knows about the Rainbow-Barfing Unicorns - except for a crazy billionaire who will stop at nothing to capture these zombie-like, vomiting creatures. Can Xander protect them? (FYI: The odds aren't great).